Following on from last week’s visit to Smeaton Gardens, I returned this week to walk around Smeaton Lake, which was created in 1820 by the local laird George Buchan-Hepburn. 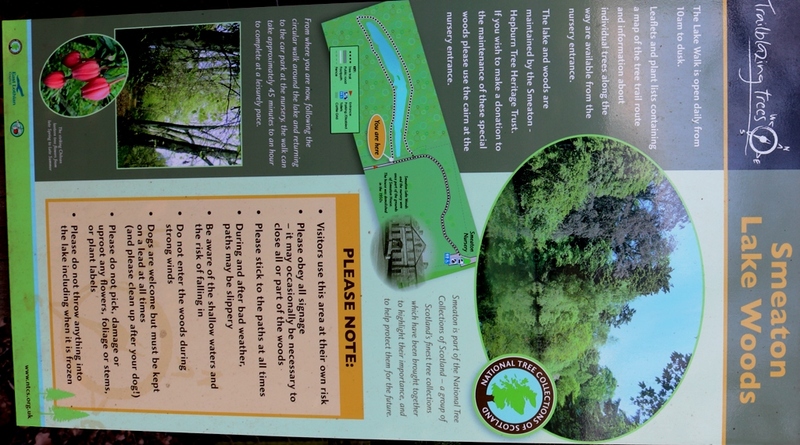 The woods around the lake are part of the National Tree Collection and there is a larger variety of trees, which are outlined in this leaflet. The trees range in size from the huge Giant Redwood to the more delicate Common Lime. There are two entrances via what used to be called kissing gates, the origin of which is not necessarily romantic. At each entrance there is an informative board (photo below) designed by the National Tree Collection which tells you about the importance of the trees. The board has an inset showing the original Smeaton House (good photos) which was demolished in the 1950s. The enlarged inset is shown below. 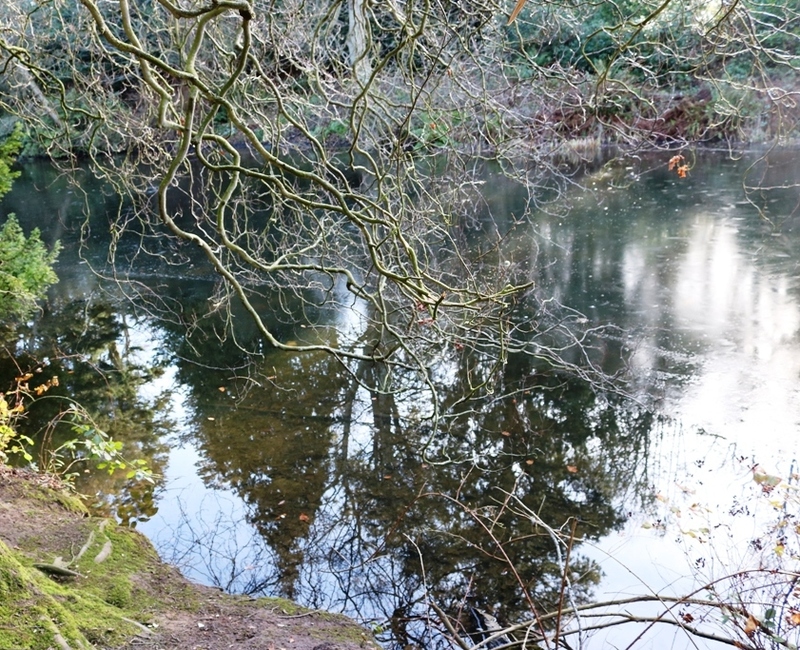 At the moment, the lake is still partly iced up but the recent milder weather has seen the ice recede into the lake, leaving clear water at the side. One consequence of the icing is that the normal reflections of the plethora of trees in the lake is obscured to some extent. The first reflection below is taken from the north side of the lake. You can see where the ice starts about half way across the lake and while the top of the trees opposite are beautifully reflected in the clear water, the rest of those trees can be seen but only fuzzily, because of the ice. 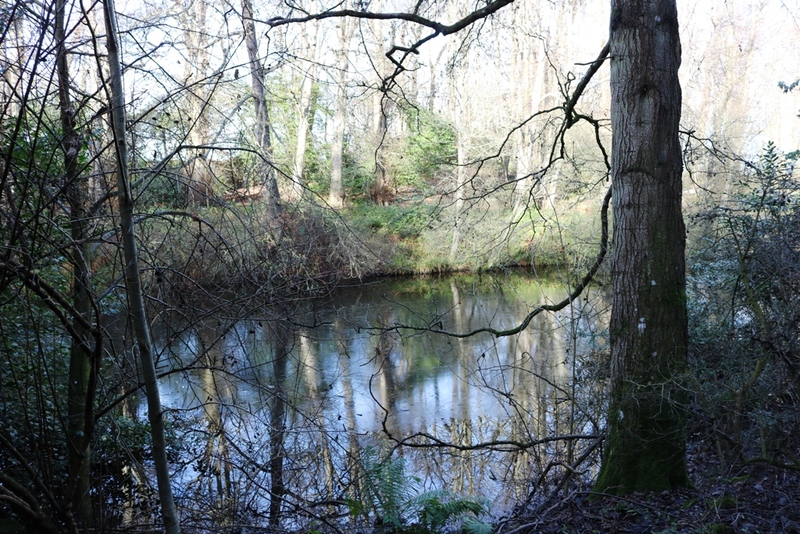 The next photo is taken from the south side of the lake – there is a circular walk around the lake, enabling visitors to experience a different range of trees but also different views across the lake. If you enlarge the photo, you will see more clearly that there is a clear reflection on both sides of the lake and a more hazy reflection in the middle. I think that this adds to the quality of the photo and it appears that the trees become slightly bent when seen reflected on the ice. I like the many different lines in the photo – of the trunks, the branches and the reflections. On the blog, I have featured snowdrops at Pitcox House before, but I only discovered the snowdrops at Smeaton Lake this year. 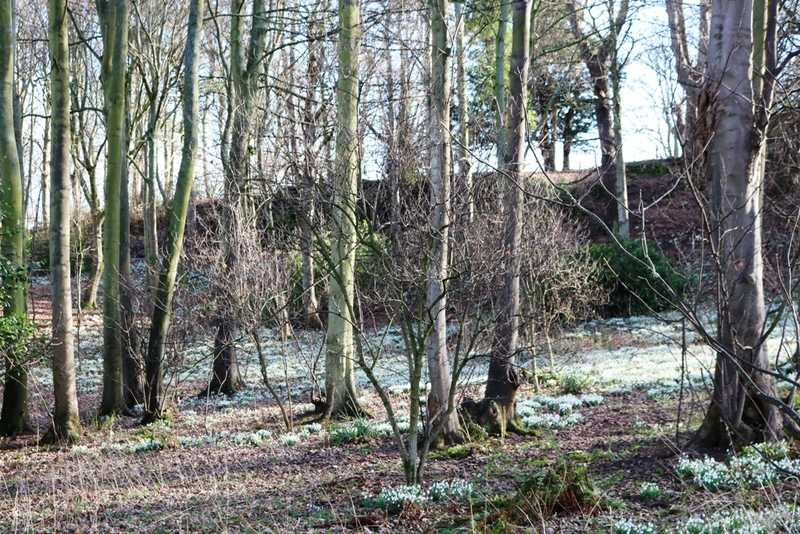 As you walk to the top of the lake, you pass clumps of snowdrops like the ones in this photo. Snowdrops are not showy flowers and keep their elegant white heads facing down. 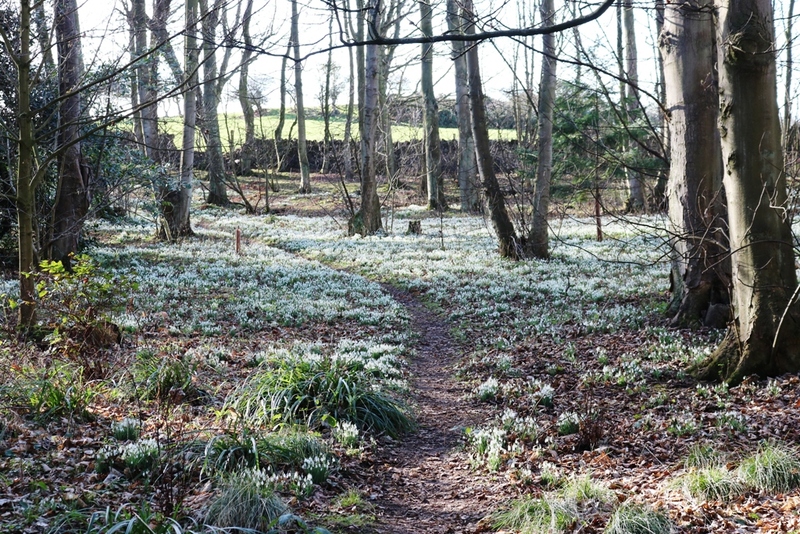 Alice Oswald describes the snowdrop “A pale and pining girl, head bowed, heart gnawed/ whose figure nods and shivers in a shawl/ of fine white wool” and “Yes, she’s no more than a drop of snow/ on a green stem…. 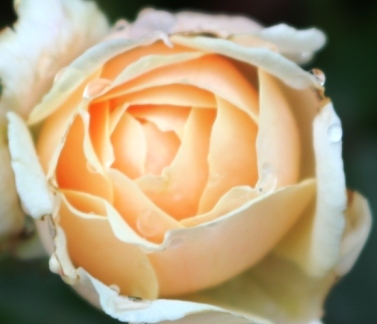 But what a beauty, what a mighty power/ of patience kept intact is now in flower”. 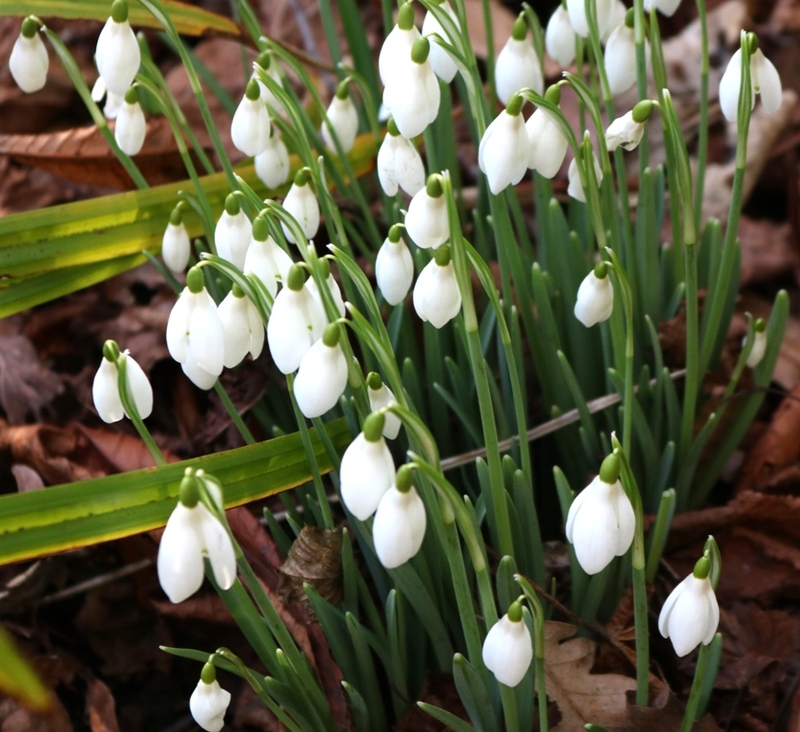 I see the snowdrops in a more positive light, as they may be of limited stature in relation to later spring flowers such as daffodils and bluebells, but there is an elegance to their straight-backed stance and their bell-like heads. I think they are singing joyous songs which we cannot hear. Once you go further into the woods, you come to a large clearing and it’s here that you see the large swathes of snowdrops as in the photo below. The trees above being reflected in the lake are an uplifting sight and when you see the snowdrop spread beneath the trees, as in this photo, it is another eyebrow raising moment. The trees themselves – mostly still bare but showing off their elegant trunks – are enhanced by the white tablecloth of white below them. I did a wee video of the wide spread of the snowdrops in these enchanting woods. Click on full screen for the best effect. 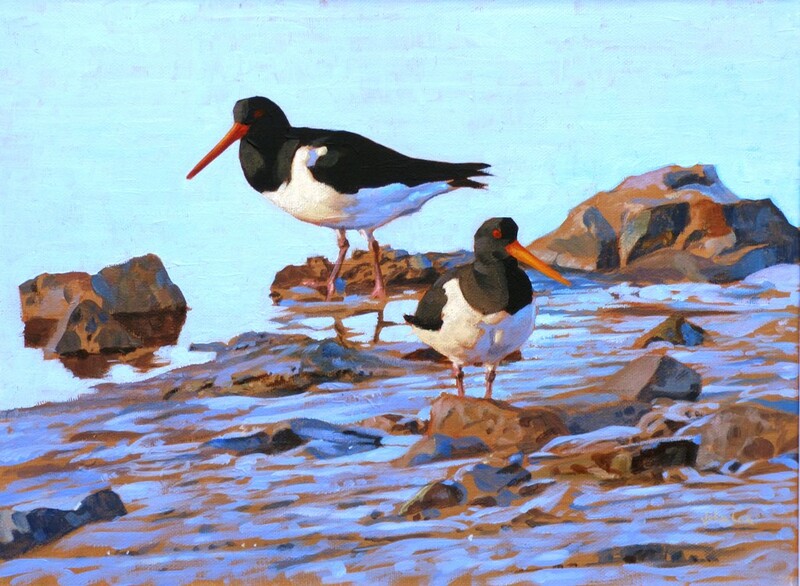 The exhibition by the excellent wildlife artist Michael Warren at Waterston House in Aberlady is about to end but his work will be available elsewhere during the year. 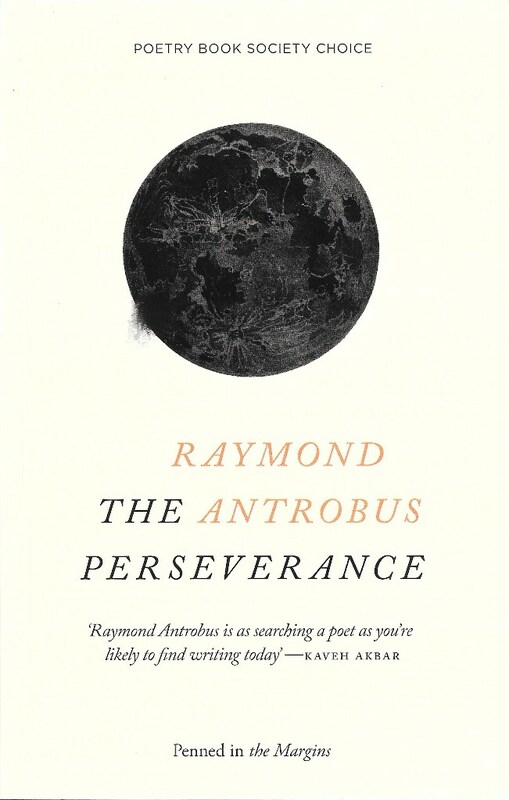 I featured the artist’s work on the blog in 2012, with a picture of his amazing book on American birds. Over a long career, Michael Warren’s many achievements include designing stamps for the famous Audubon Society in the USA. 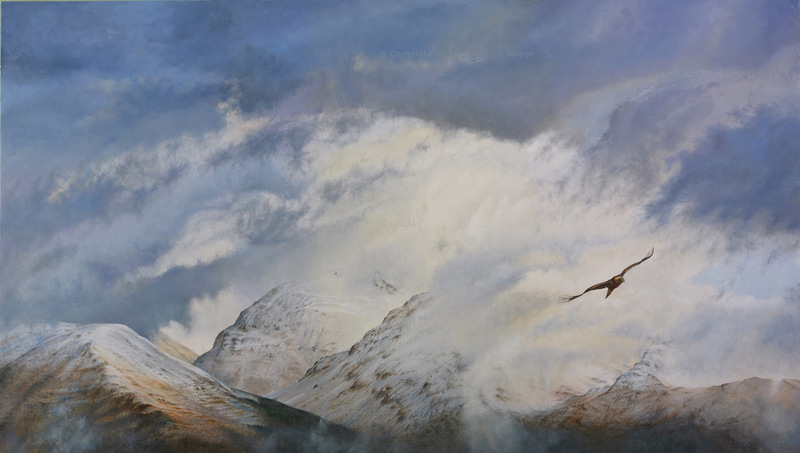 The current exhibition shows why this artist is so highly regarded, as it demonstrates his high level of technique, his observation of birds in a variety of environments and his mastery of colour. Michael has generously made available some of the paintings for this blog. The first is a painting of a redstart (includes video) which has the fabulous scientific name of Phoenicurus Phoenicurus. What I really appreciated in this painting is the way the artist draws your eye from the impressionist-like leaves on the tree branches at the bottom of the painting up to the bird itself. Once you see the bird, it takes centre stage in your viewing but it is not centre stage in the painting. The larger leaves at the top of the work are clearly delineated and contrast well with the less well-defined leaves at the bottom. You can almost hear the bird’s song ringing out across the forest when you see the painting. It is an exquisite work of art. The second painting is of Slavonian grebes (scroll down to audio and video). 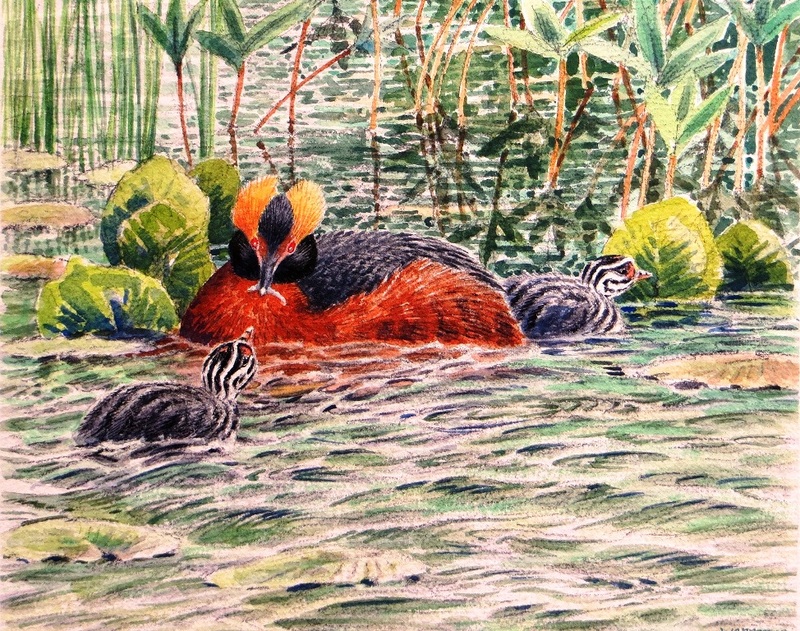 This is a large painting and the startling colours of the adult grebe immediately catch your eye. I like the lines in this painting – the straight and crooked lines of the reeds and the rivers of white curved lines in the young grebe. This bird has an awkward scientific name podicepa auritus but it is very elegant when seen in the water. In Michael Warren’s portrait of the adult grebe, there is added elegance, shape and colour. The yellow cropped feathers above the grebe’s focused eyes reminded me of Elizabethan ruffs and there is a delicate smoothness in the rest of the bird’s body, which reflects the gentle swell in the surrounding water. This is a painting which rewards close inspection and you cannot fail to appreciate the artist’s talent and skill on display here. Overall, a wonderful exhibition which we visited twice, to very good effect. More summer flowers – this time taken after a day of rain, of which we have not had much this long and mainly warm summer. The photo below is a close-up of some sweet William flowers in a hanging basket outside our front door. 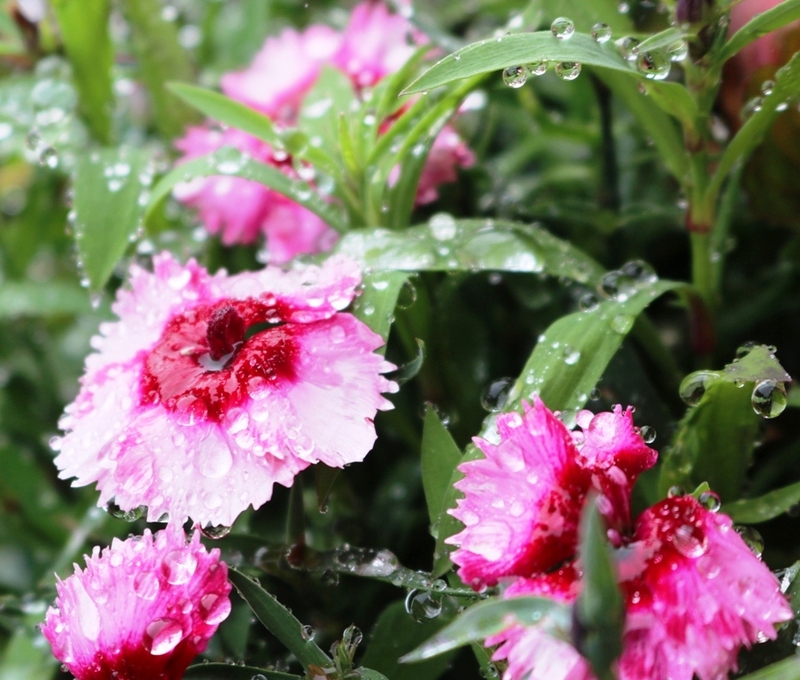 The rain had barely stopped when I went outside to capture the tiny bubbles of fallen rain on the leaves and flowers. The leaf to the bottom right looks like a frog with hyperthyroid bulging eyes. The raindrops appear to be rolling down or dancing on the leaves and the photographs reveals more detail than you can see with the naked eye. 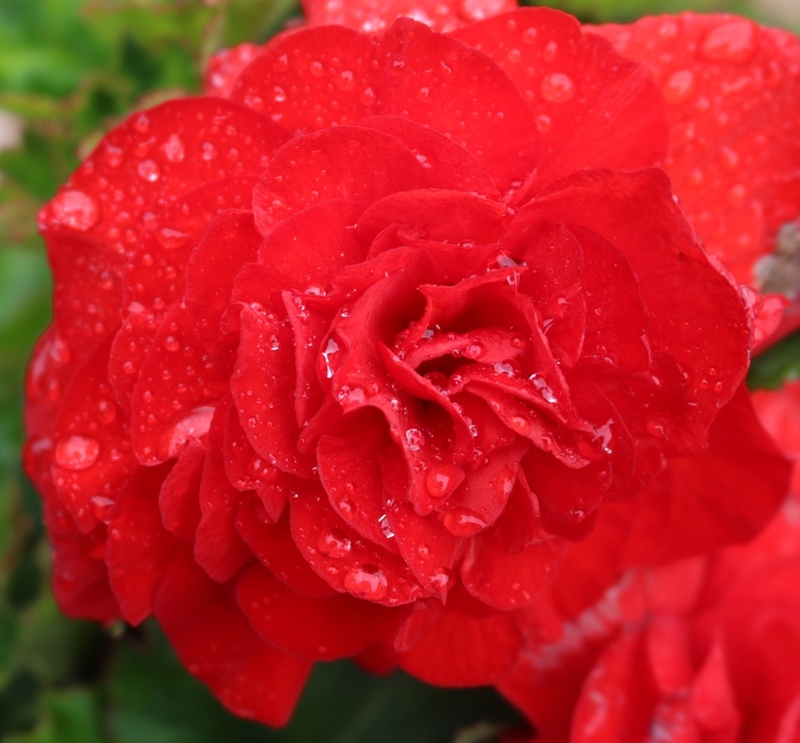 The next photo shows a begonia flower which is still holding on to its raindrops and showing off its many contours in the multitude of petals on show. 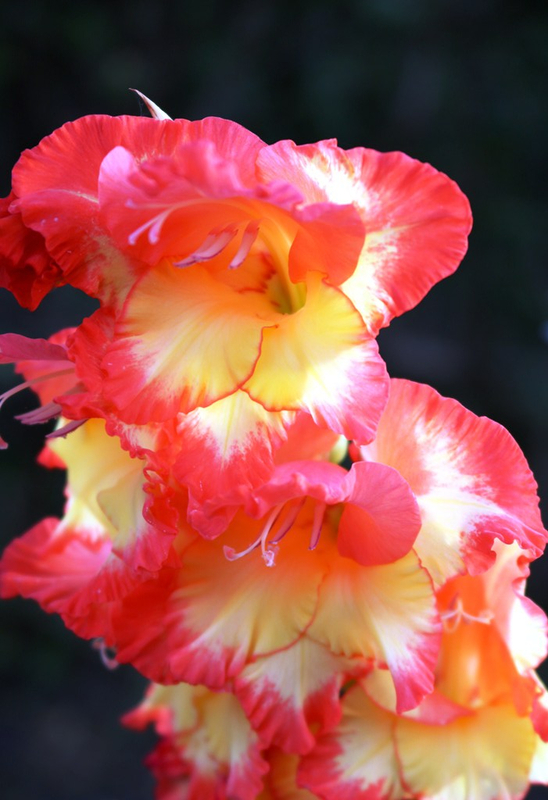 Begonias strike me as very demonstrative, look-at-me flowers and while they are strikingly pretty at times, they can appear gaudy. 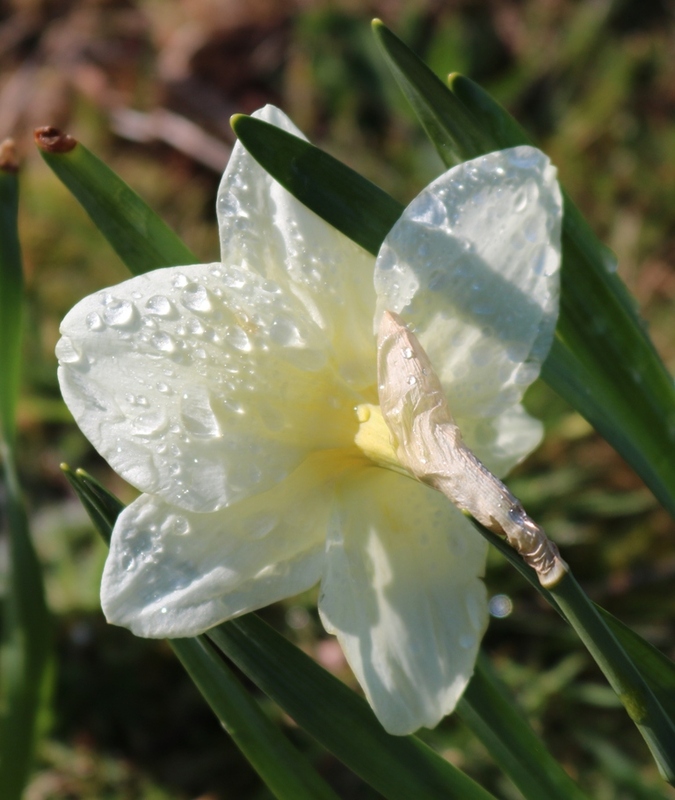 This is a more delicate specimen, wearing its raindrops like a form of make up. 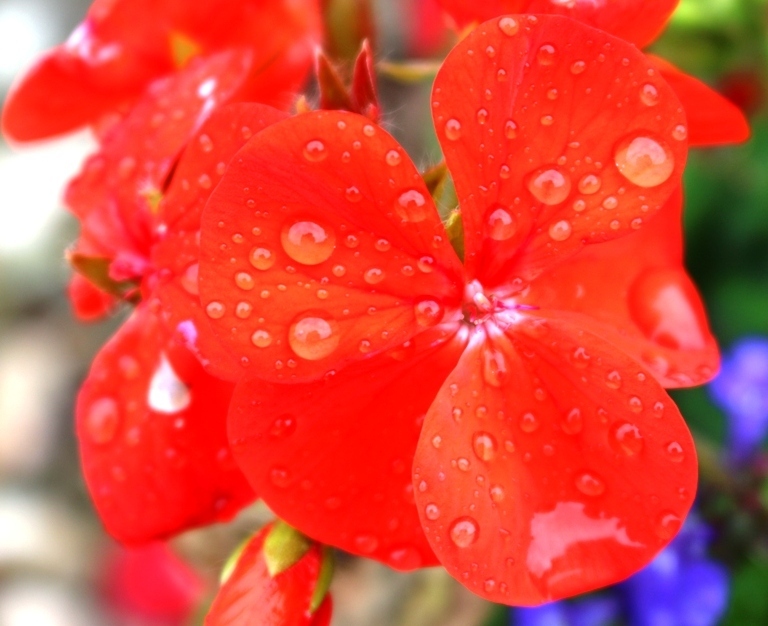 This photo of geranium leaves has a surreal quality and might be something that Geoff Koons would produce and add to his tulips outside the Guggenheim Museum in Bilbao. Some of the raindrops appear to be magnified and hollowed out, and they look like craters scattered across a petal shaped planet. 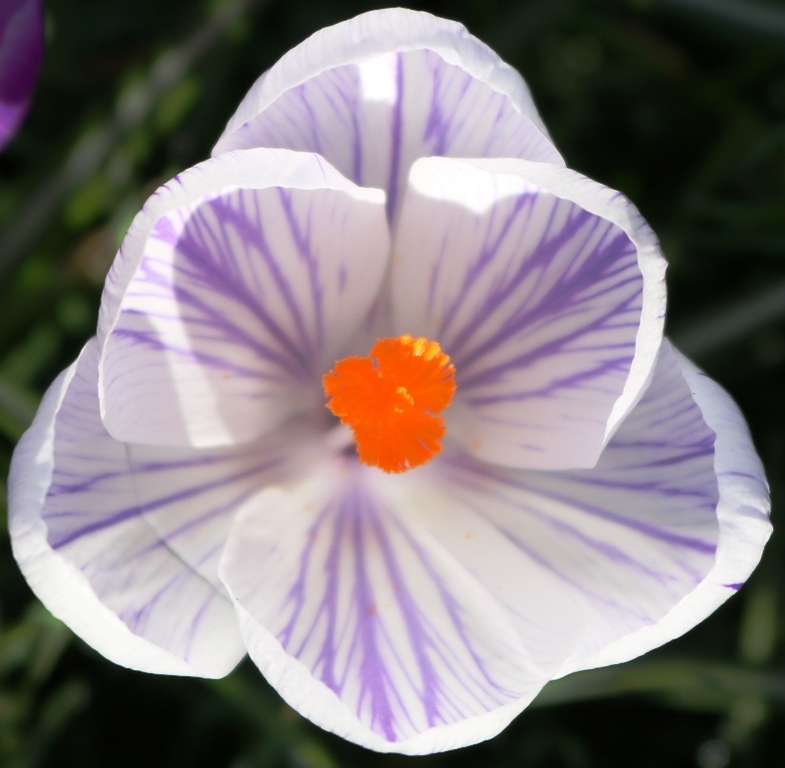 The bottom petal/planet appears to have a landmass similar to Australia. Finally, I took this photo of an emerging rosebud and although you can barely see the remnants of the rain on the flower, it struck me as almost a form of perfection in terms of delicate colour and shape. 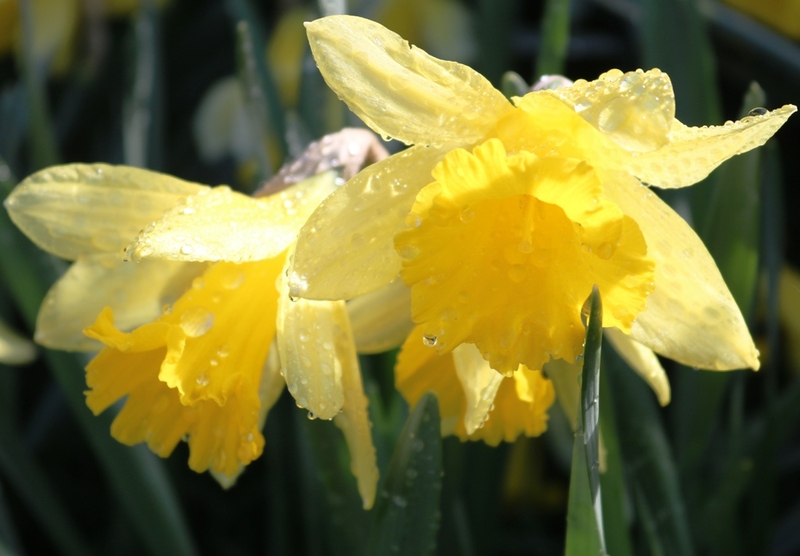 For people of a certain age, of course, flowers in the rain can only ever mean this. 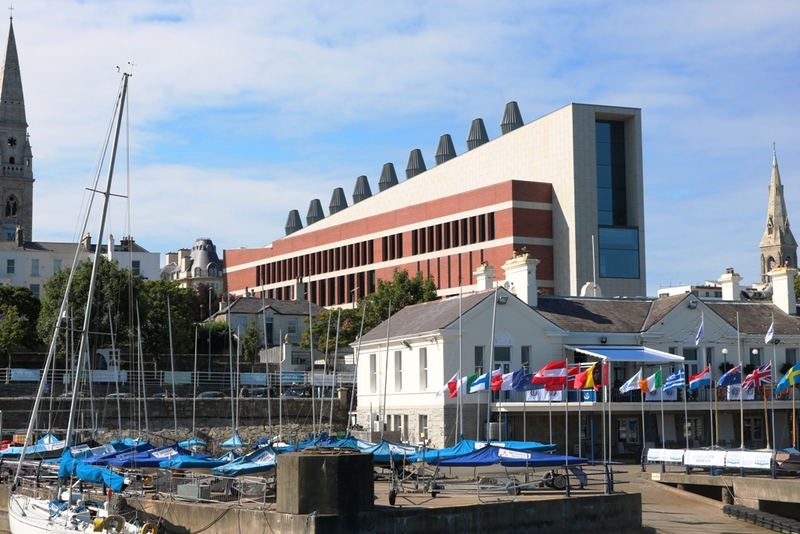 As we are off to Dublin next week for a few days, the gap between blog posts will be longer. Our final destination on the trip to Denmark and Sweden was back in Denmark. We crossed on the ferry from Helsingborg (good photos) in Sweden to Helsingor in Denmark. Helsingor is famous for its Kronborg Castle (good photos) which is best known as the setting for Shakespeare’s play Hamlet. The photo below shows the castle as seen from the ferry. Our destination was the pretty town of Fredensborg (good photos) which is mainly known for the Fredensborg Slot or Castle, of which more below. You can walk down – through an avenue of lime trees – to the shore of the huge Lake Esrum, the 2nd largest in Denmark, from the town and we enjoyed the views across the lake. We also drove to Nødebo on the other side of the lake. When we arrived, this family of mallard ducks was next to the walkway. They were undisturbed by our presence and posed for this photo. 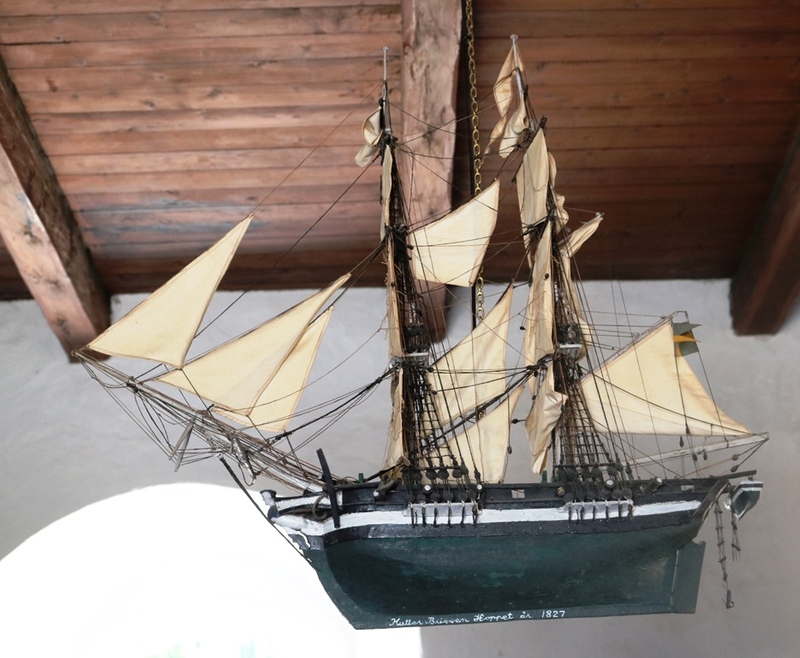 We went on a tour of Fredensborg Slot – slot being the Danish for castle or palace. As this is the Queen of Denmark’s residence for part of the year, it was referred to as a palace by the guide. You are not allowed to photograph inside the palace. The guide gave us a history of the palace and told us much about the present queen and her family. In doing so, he tended to ignore the many beautiful objects and furnishings inside the palace. 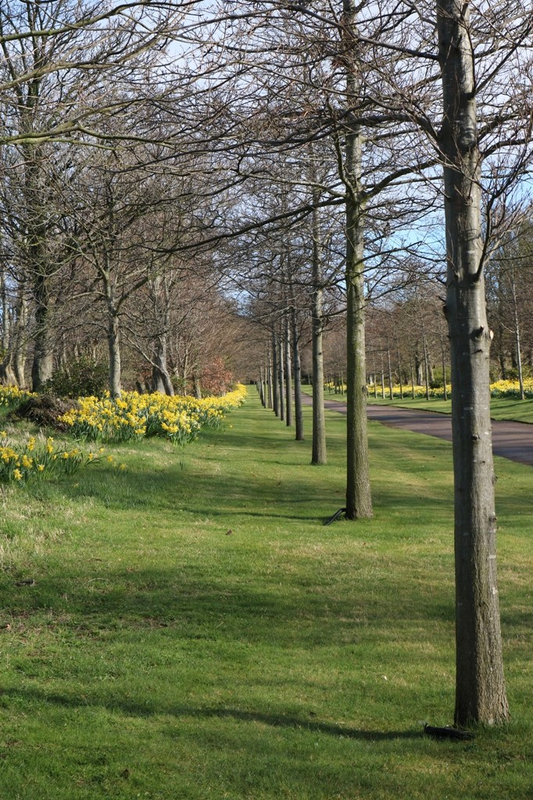 The tour of the gardens was much more interesting, with an enthusiastic guide – a tall, sturdy, bearded young Dane who was passionate about horticulture. 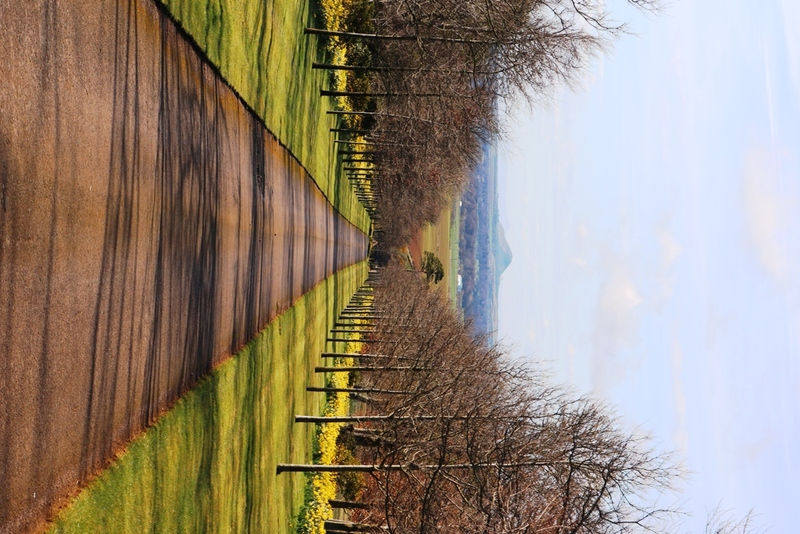 Previous to the tour, we walked around the lawns and trees of the palace grounds – you can do this for free. 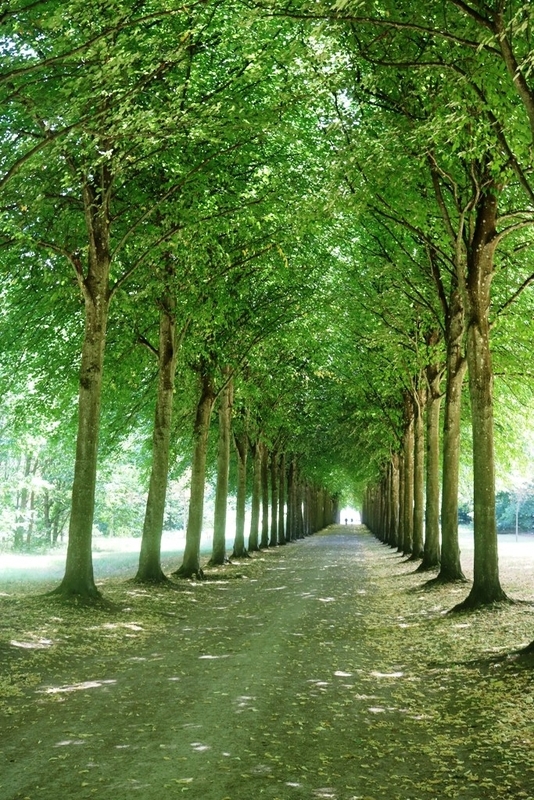 There is a very peaceful walk down an avenue of lime trees (picture below) and there was resonant birdsong all the way down towards the edge of the lake. The paid tour took us into the private gardens and they were a delight to the eye. 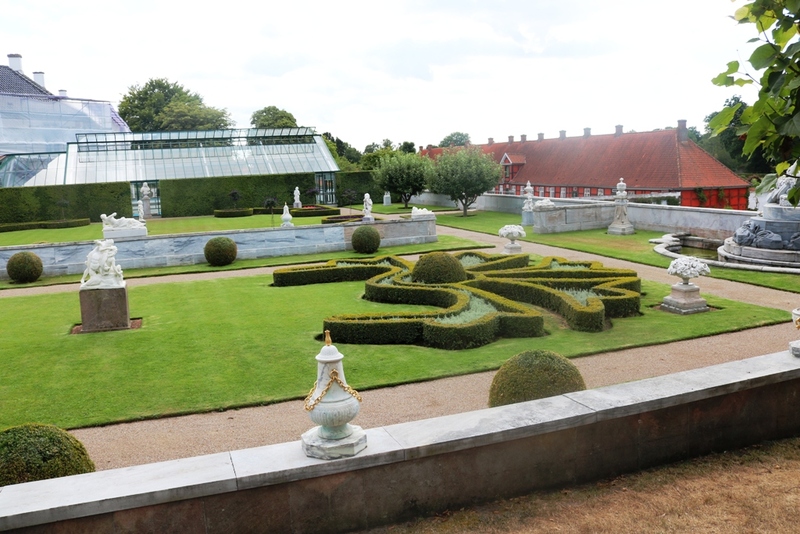 The first part of the gardens is the formal rose garden and looking down from the steep bank above the gardens, you can see (photo below) the immaculately manicured hedges in the small maze-like structure, as well as the numerous statues around this section. The next section was the rose garden, with its impressive water lilies at the side of the roses. I took a wee video of this. 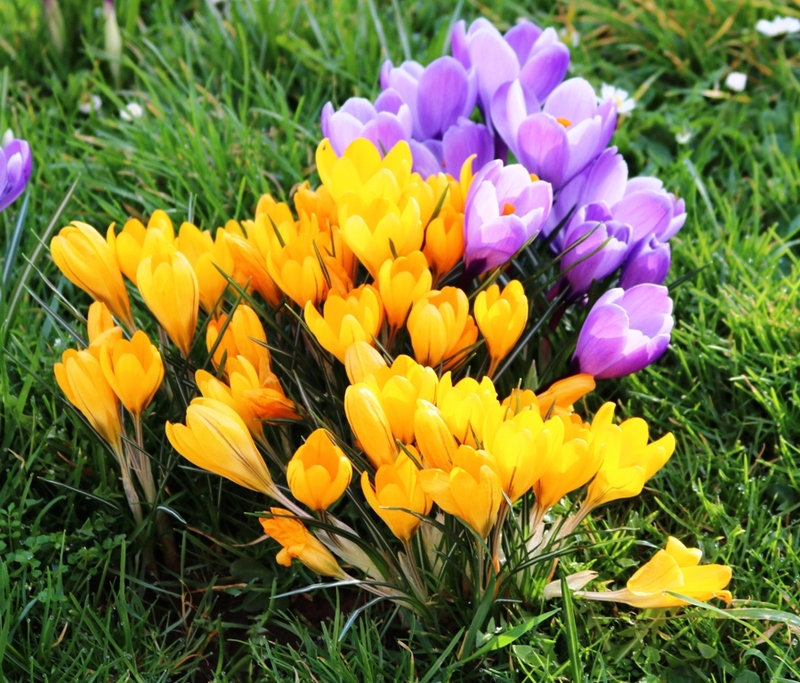 From there it was on to some small gardens – one for each season, so some were in full flower and others more subdued – and then to the huge vegetable and herb garden. At the entrance to the garden was this peach tree. 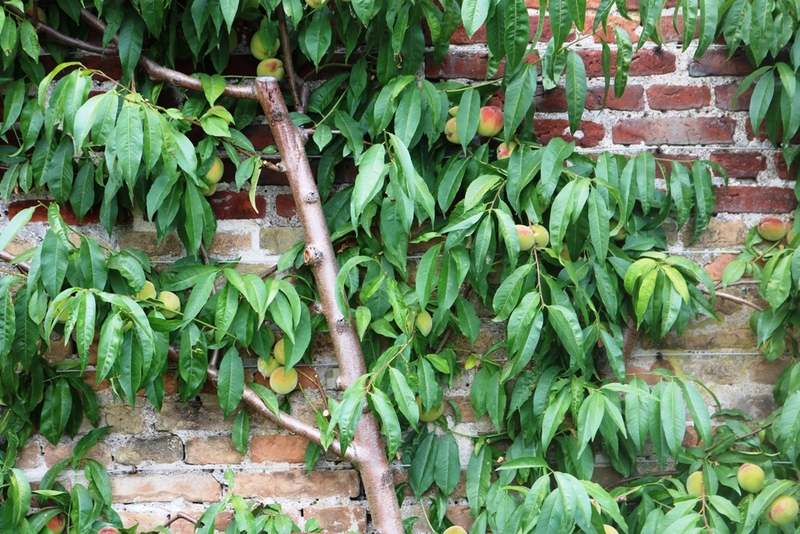 I like the photo below as the exposed trunk takes your eye up the centre of the tree and then on to the dangling leaves, behind which the maturing peaches seem to lurk. 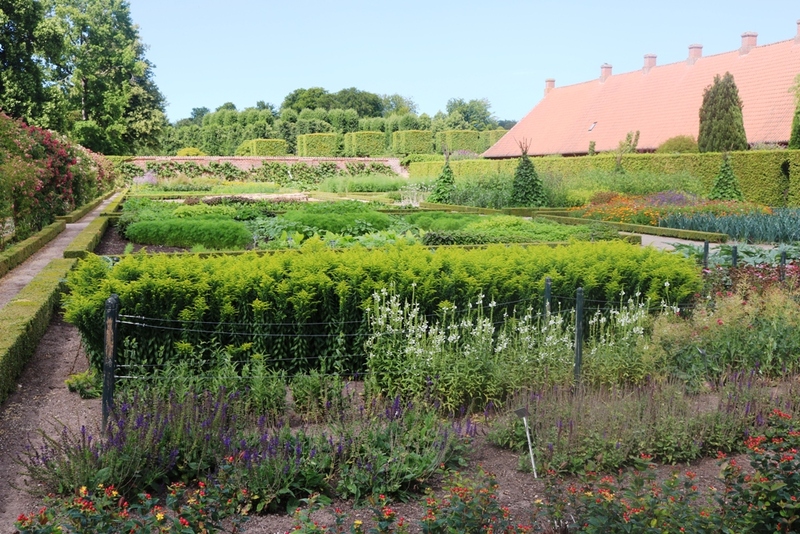 The vegetable garden has a huge range of vegetables – potatoes, carrots, leeks, cabbages, lettuce and beetroot – and each section was separated by a small hedge as in the photo below. 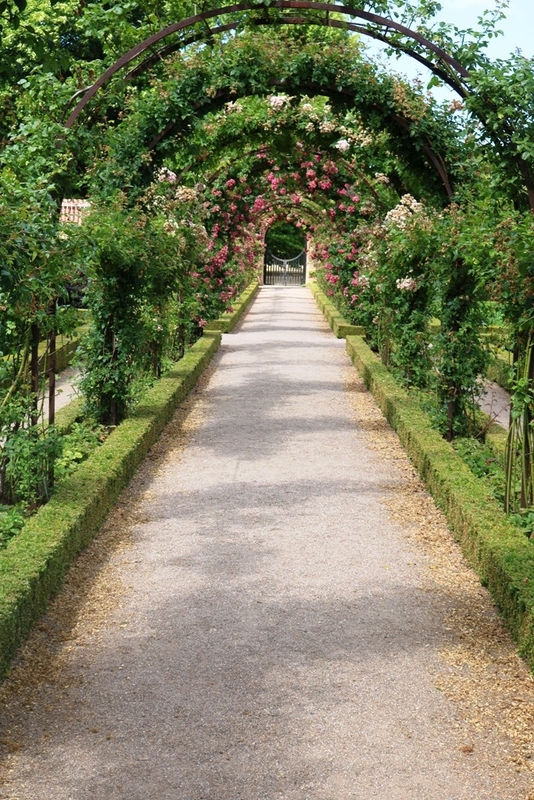 When you walk through the middle of the vegetable garden, you are under a trellis of roses (photo below) and it really was a pleasure to walk under the roses, with neat boxed hedge on the border. Inside the hedge were wild strawberries which were heavily fruited. You can see more photos of the vegetable garden here. This was an afternoon well spent and I would recommend Fredensborg as a place to visit when in Denmark. On our recent trip to Denmark and Sweden, we drove across the famous Oresund Bridge. When you drive on to the bridge, you are under the water for a while and this doesn’t become clear until you see it from the air. It is a magnificent piece of engineering. Our destination was the very pretty seaside village of Arild and we stayed at the excellent Hotell Rusthållargården. 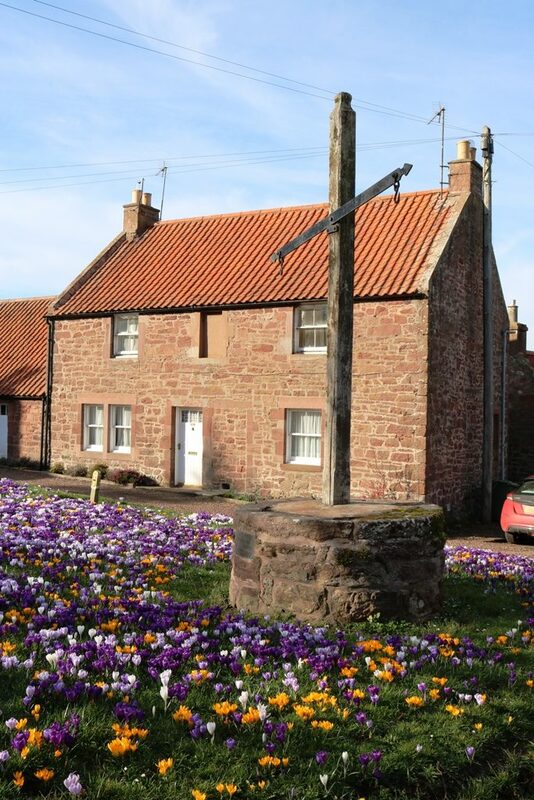 It is a tiny village but has a very attractive harbour and pleasant walks along the rocky shoreline. We saw many people going swimming there and the water is much warmer than you might expect for Sweden – much warmer than in the UK. One surprising local custom is for people to go swimming and walk back up the road to their house or hotel in the their dressing gown. This could be seen all day and in the evening i.e. not just in the morning. The harbour (photo below) was once the preserve of the local fishing fleet, but today it is mainly leisure craft, with only a couple of fishing boats to be seen. 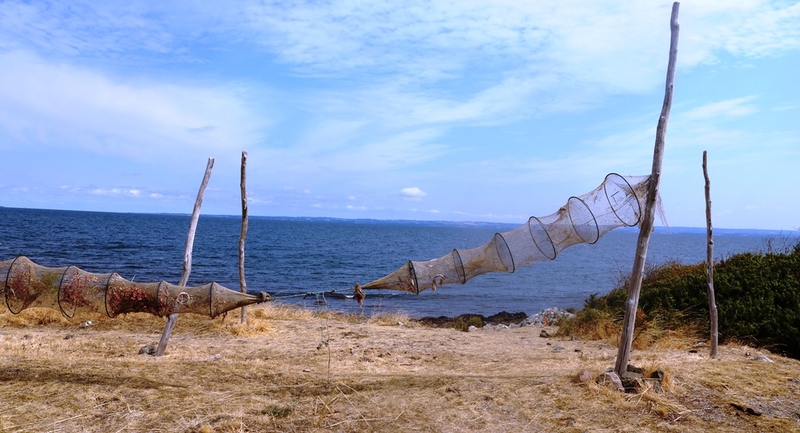 There is still evidence of fishing in the village as seen in the nets which were hung up to dry next to the harbour (photo below). A local told us that these were eel nets and he hinted that fishing for eels may not be legal. I took a video of the harbour. We visited the local church, known as Arilds Kapell which has origins in the 15th century and the modern Lutheran church dates back to the 18th century. It has an interesting interior, with its austere seating brightened up by the decoration on the side of each pew (picture below). 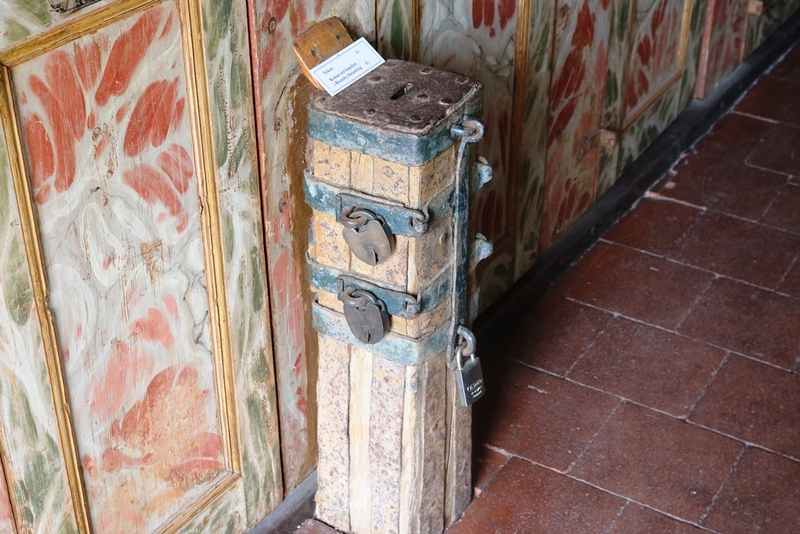 At the back of the church is a collection box which, as you can see below, was very well protected from thieves by 3 large locks. 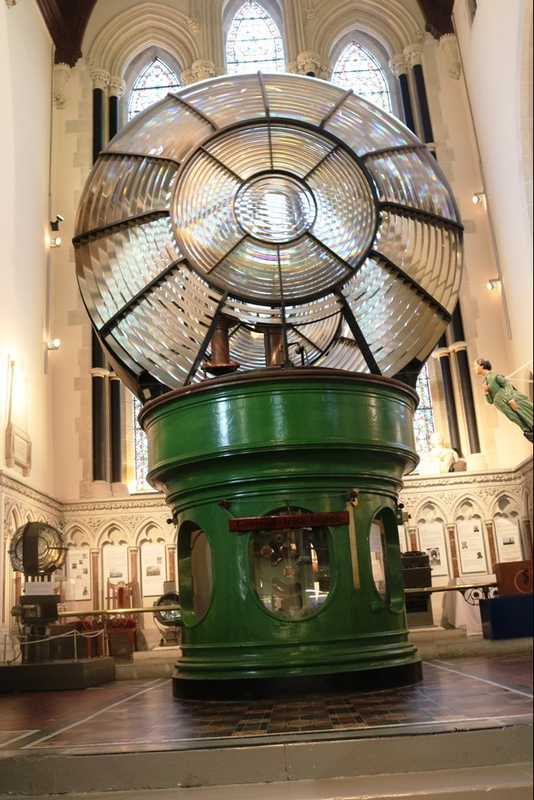 Whether this reflects on the honesty of the local population over the centuries or a “take no chances” attitude of the church authorities was not made clear. 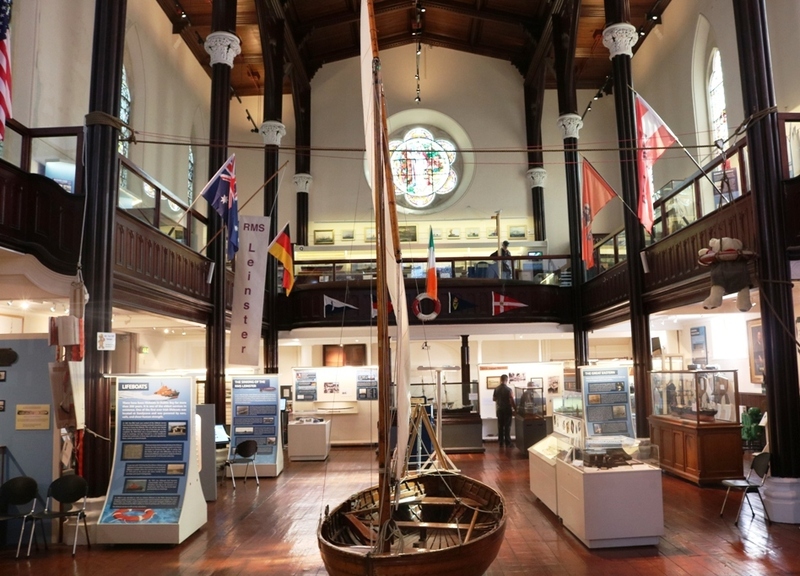 What was more impressive were the model ships hanging from the ceiling – a reflection of the village’s past fishing history and one of the ships is shown below. In 1827, this must have been a magnificent sight just off the coast of Arild, as a ship of this size would not have been able to enter the harbour. The church is hardly used now but remains a striking building, which is obviously well looked after by the locals. 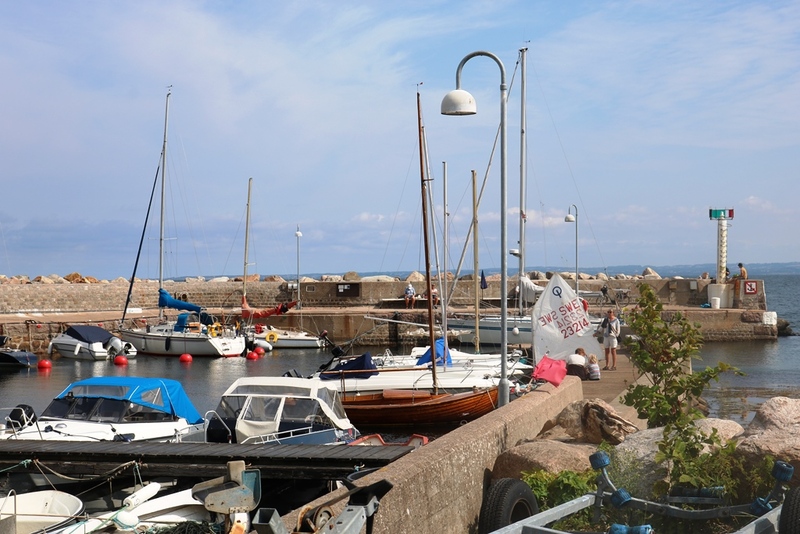 Arild is a busy little village in the summer and there are a range of walks along the coast. Not far from Arild is the Kullen Lighthouse which we visited after walking along the high cliffs nearby and enjoying the spectacular views. 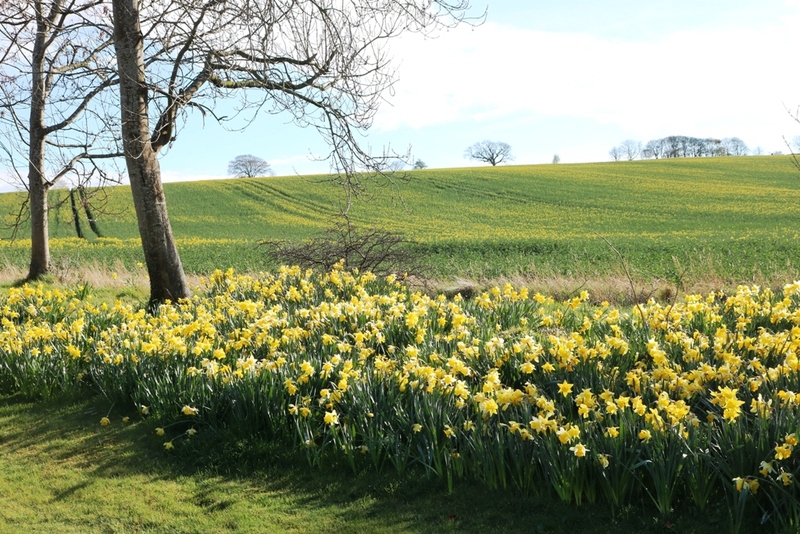 The countryside around Arild is very much like that of East Lothian with fields of barley, wheat, oats, potatoes and cabbages to be seen, so we very much felt at home. 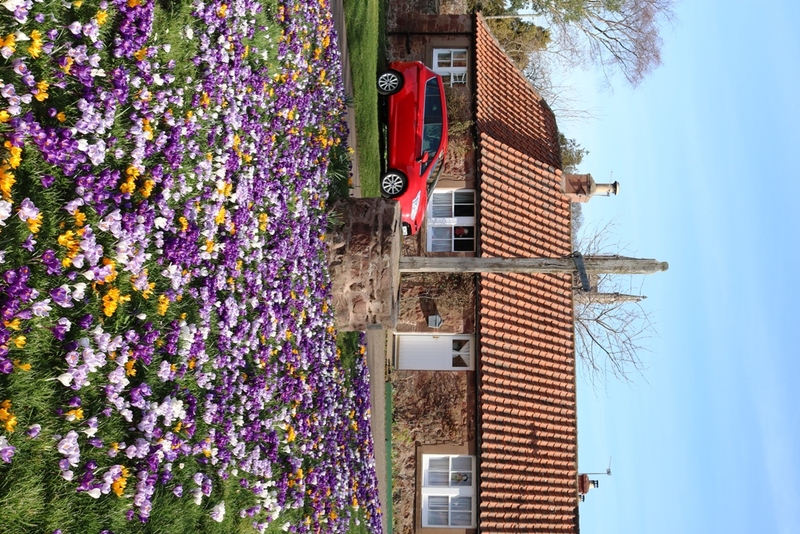 It’s summer flowers time on the blog, as the garden is probably now at its peak. The weeks of warm and mainly dry weather this summer has meant a lot of watering of plants and my hose has never been out of the garage as much as recently. 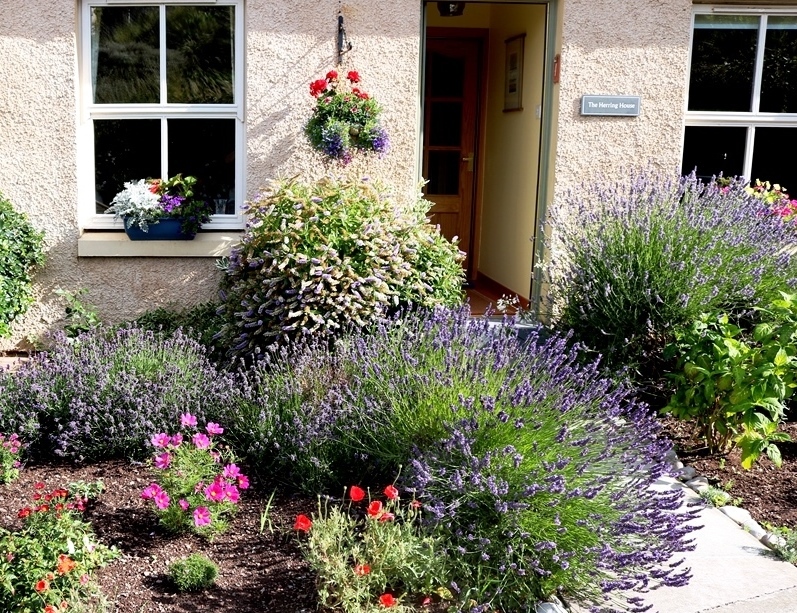 The lavender in front of our house has been particularly prolific this year (photo below). Lavender’s botanical name is Lavendula and the plant has an interesting history. 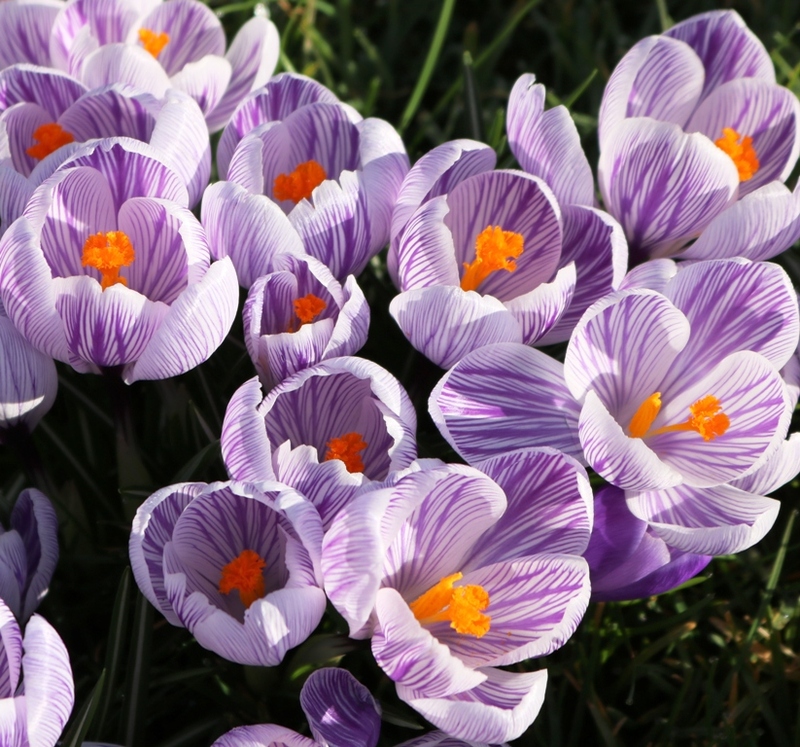 The name comes from the Latin lavare to wash and lavender has been used in perfume and soaps for thousands of years. Leonardo da Vinci wrote that to make good perfume, use rose-water and then “take a lavender flower and rub it with your palms, and you will have the desired effect”. 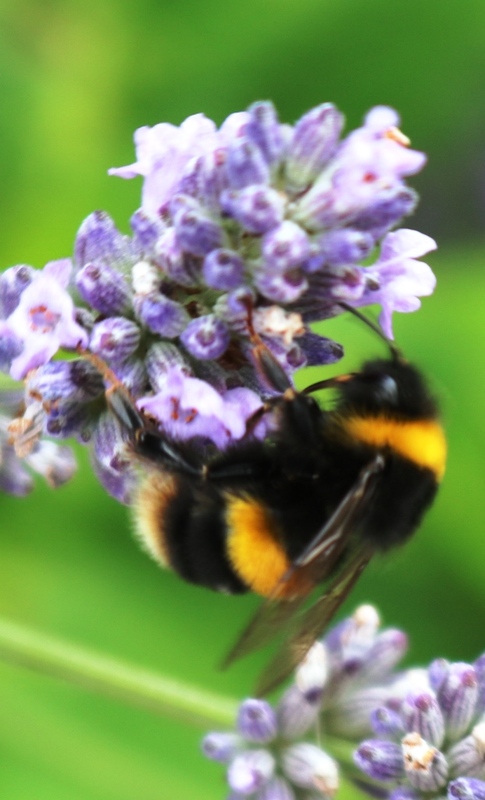 The lavender has attracted hundreds of bees each day and, in the never-ending pursuit of close-up bee photographs, I managed to capture this bee on a lavender flower. We’ve also had a better show this year of agapanthus flowers. 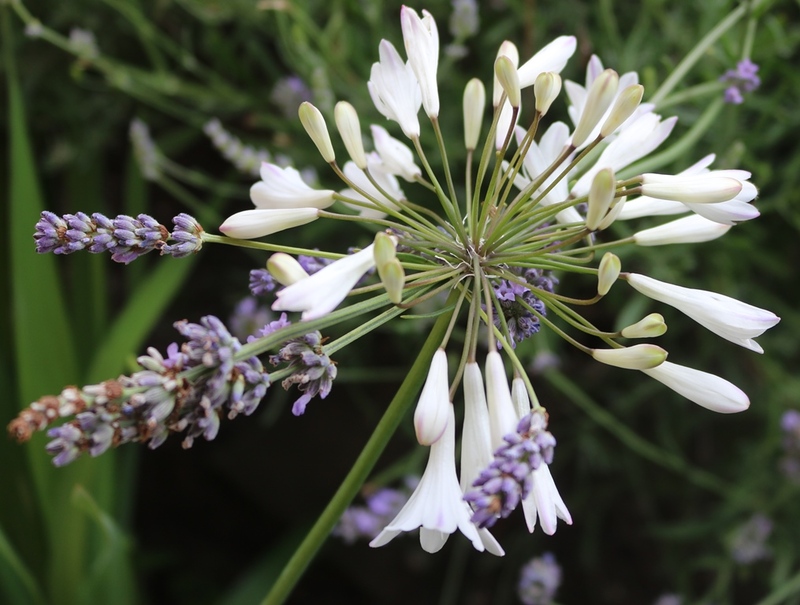 In the photo below, the white, bell-like flowers of the white agapanthus are interspersed with the lavender. This happened as the agapanthus grew up beside the lavender bush. 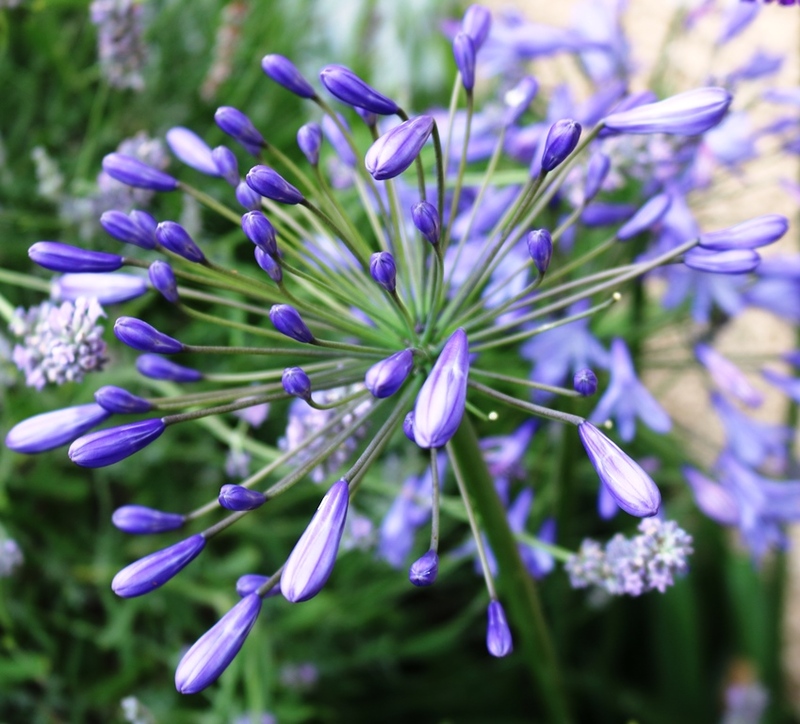 Agapanthus or African Lily have delicate flower heads, which are stunningly beautiful when they appear, but they do not last long particularly if there is a strong wind. When we lived in Australia in the 2000s, agapanthus was seen as a weed – an alien species from South Africa – in some states, as it spread rapidly and often replaced local plants. This was the first year we had white agapanthus, having only had the blue variety since we bought 2 plants, and this is evidence of how they can spread. The blue flower heads (see below) are a delight. The head appears slowly and then reveals a multitude of blue raindrops which develop into delicate trumpets in a few days. I will return to our summer flowers in the blog in due course, but this is definitely the best display of flowers we’ve had for many years, due to the continuing warm, dry weather we’ve had for weeks. No blog last week as we were on our travels in Denmark and Sweden. After 3 weeks of often gruelling cycling across the whole of France, Le Tour De France ended in Paris, with the Welshman Geraint Thomas emerging as the victor. As an amateur cyclist, with a medium-range road bike, I am at first in awe of these cyclists, then perhaps slightly less in awe of them as they are a) young men and b) professional cyclists. It is on the mountain stages however, that my admiration rises, given the speed at which they cycle up the sometimes vertiginous slopes. The modern-day cyclists of course, have superb equipment in terms of bikes, helmets and racing gear. The event itself is also much bigger than it used to be. On holiday in France a few years ago, I picked up this postcard (below) of Le Tour. Looking at the cars, my guess is that it may be from the 1960s. There are a number of interesting aspects to this photo. Firstly, none of the riders are wearing helmets and secondly, there are no crowds lining the route. 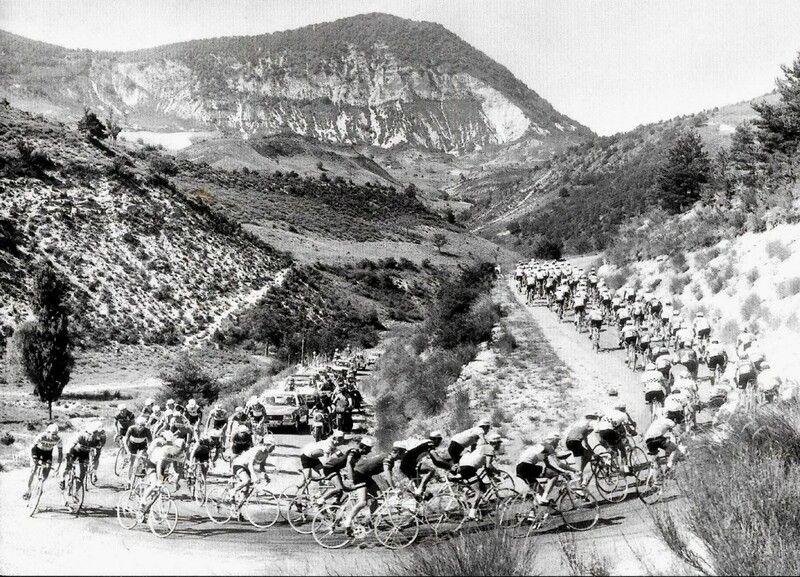 What has not changed is the mountain roads ahead up which the riders have to climb, but the riders in this picture would have had heavier, less streamlined bikes, with fewer gears. Today’s Tour participants might go faster, have more back up in the form of masseurs, physios etc but are they stronger and relatively fitter? Le Tour is inspiring for cyclists, so when I tackle a biggish hill tomorrow, maybe I should imagine that I am “G” (Geraint Thomas) heading towards a stage win at the top of the hill and retaining the yellow jersey. 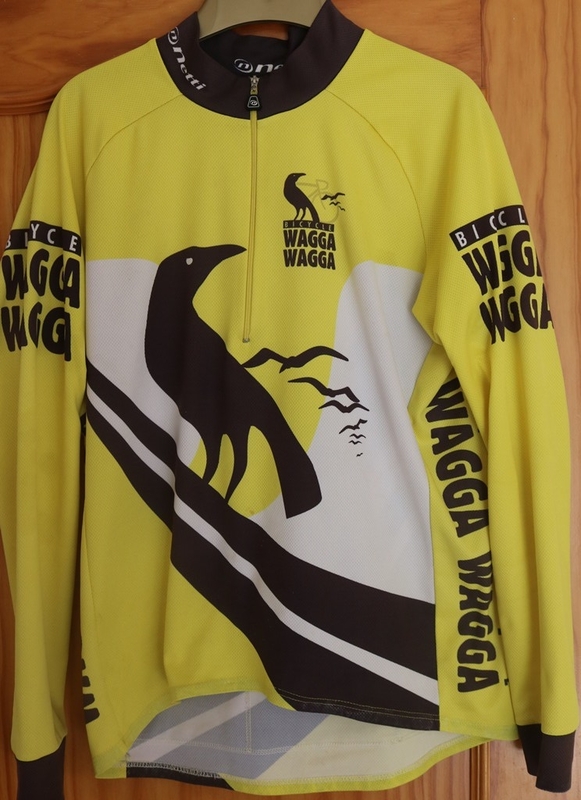 One thing that “G” and I do have in common is a yellow jersey, although his is better known than my Bicycle Wagga Wagga top below. On the early highlights of our trip to Denmark was the Aamanns 1921 Restaurant in Copenhagen. The interior of the restaurant – see photo on website – is very well designed with lighting partly provided by two wooden circles above you. The chairs are Scandinavian in design and are extremely comfortable. 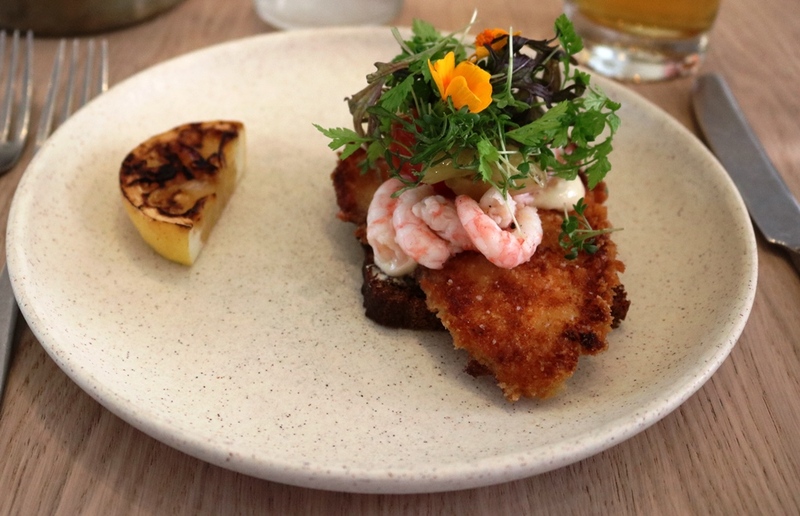 This is very much a Danish restaurant, specialising in smørrebrød and other dishes which have unusual combinations of ingredients and look absolutely wonderful. 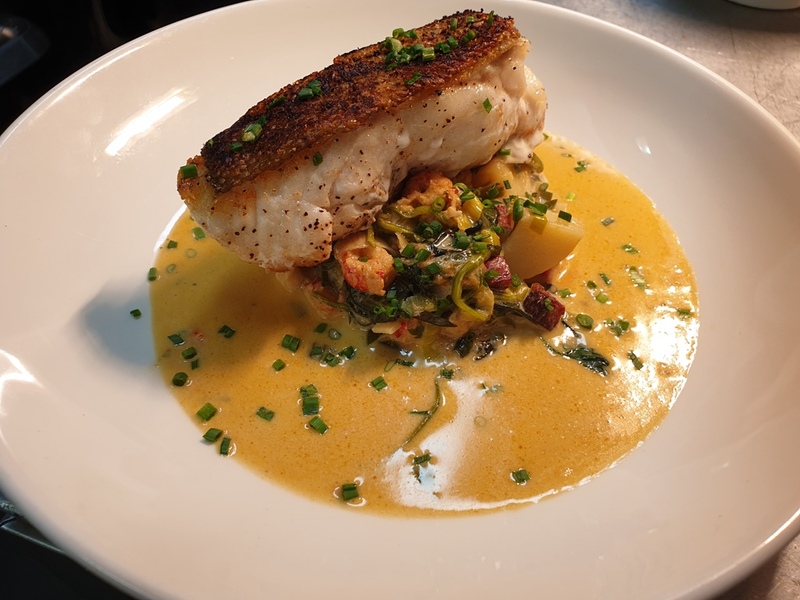 For dinner, we chose selections from the menu and my first selection (Shown below) was “Pan fried plaice with hand-peeled shrimps, pickled tomatoes and mayonnaise”. Now this looked an interesting dish on the menu, but it was when it was put on to the table in front of me (by one of the very helpful and informative staff) that the visual impact of the dish was felt. The topping included flower petals and the slice of hot lemon on the side added to both the flavour and the presentation. It was mouth-wateringly delicious. I then had the “Ravioli with Krystal Karl cheese, mushrooms, hazelnuts and summer truffles”. Each dish was carefully introduced and for this dish, one of the sous chefs came out and grated the truffle over my dish, explaining how the dish was made. 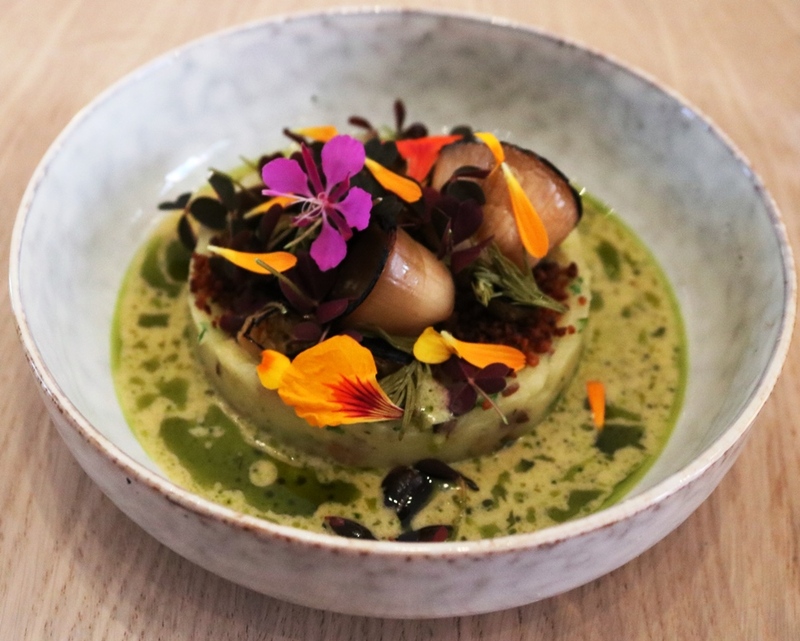 A shared dish was “Braendende kaerlighed” in Danish and consisted of potato compote, gooseberries, sorrel, onion and bacon. Again the presentation was excellent (as shown below) with the extra touch of the colourful flower heads enhancing its beauty. It almost seemed a shame to eat it, but we did and the depth of flavour was superb. At the end of the meal, we were treated to a sample of the restaurant’s homemade schnapps. The bottles line the shelves and on the counter (photo below) you can see the jars of maturing liqueurs. I often find schnapps rather harsh, but this was smooth and fruity. The charming young sous chef Laura Melodie Trillot came out to explain how they made their food and exchanged ideas amongst the staff. 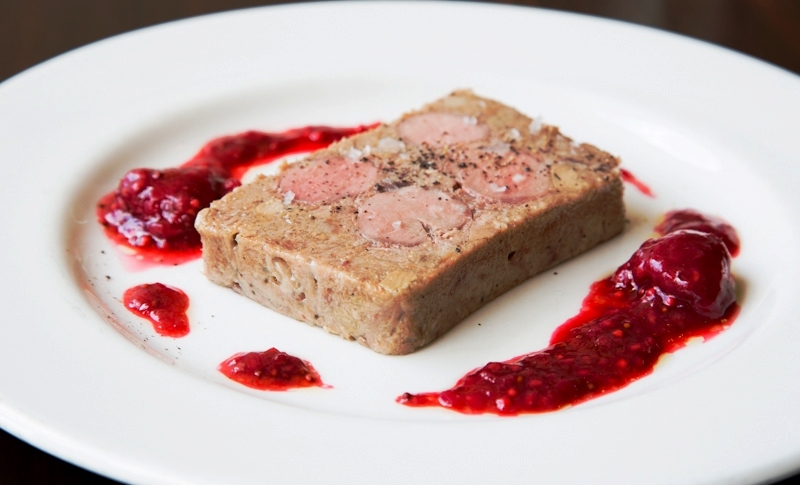 You can see some of Laura’s intriguing and colourful photos of the restaurant dishes here. This restaurant is not cheap but the value and quality is of the highest standard. 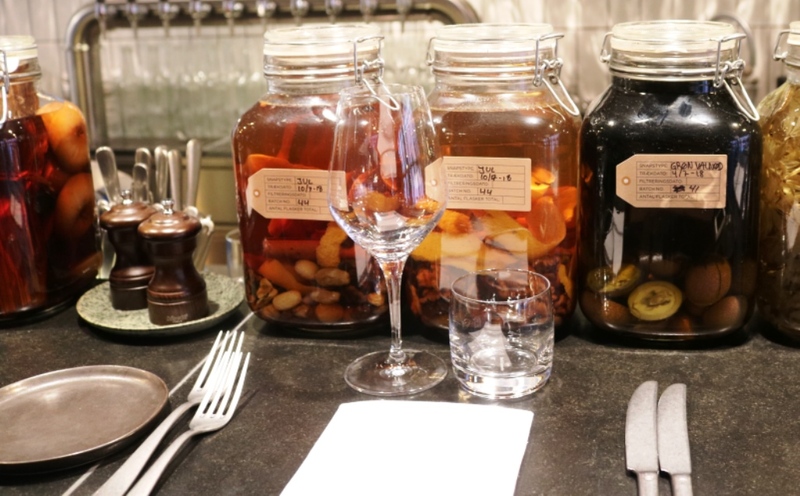 If you are in Copenhagen/Kobenhavn – and can afford it – then definitely put this restaurant to the top of your list. 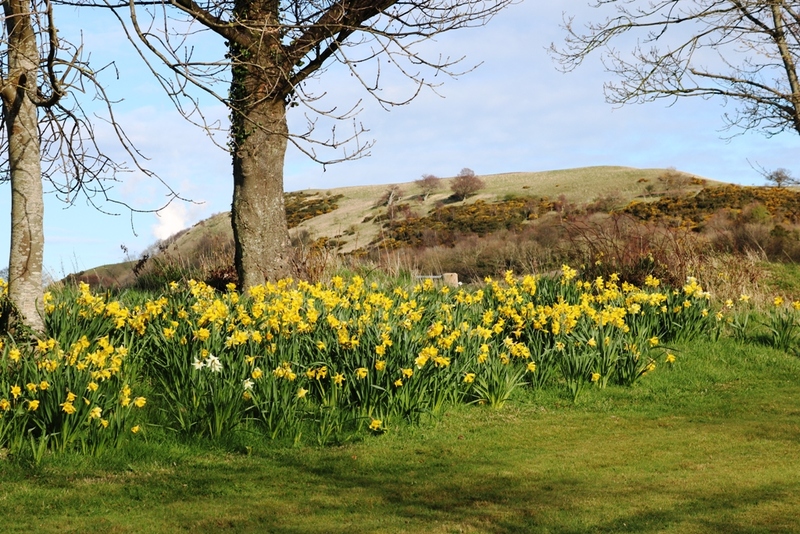 We were late in going to see the exhibition by Colin Woolf and John Cox at Waterston House in Aberlady, but I was so impressed by both artists’ work that I wanted to include it here. The exhibition closed last week but the work of these two fine painters will be on show elsewhere. Both wildlife artists generously responded to my requests for photos of their paintings. Colin Woolf is an experienced artist with a wide range of paintings and he is a superb stylist. In the first painting below, which is a large and very impressive work of art when you see it in the exhibition, Woolf shows that his skills are not limited to birds. The depiction of the mountains over which the eagle is soaring is excellent and you get a real sense of height. What impressed me most was the way the artist painted the swirling clouds above the mountains. I was reminded of the paintings of Frederic Edwin Church I saw at an exhibition in the Scottish National Gallery a few years ago. The exhibition noted how difficult it was to paint clouds. The eagle may look small up in the thermals above the mountain but there is an elegance in its flight which Woolf captures. 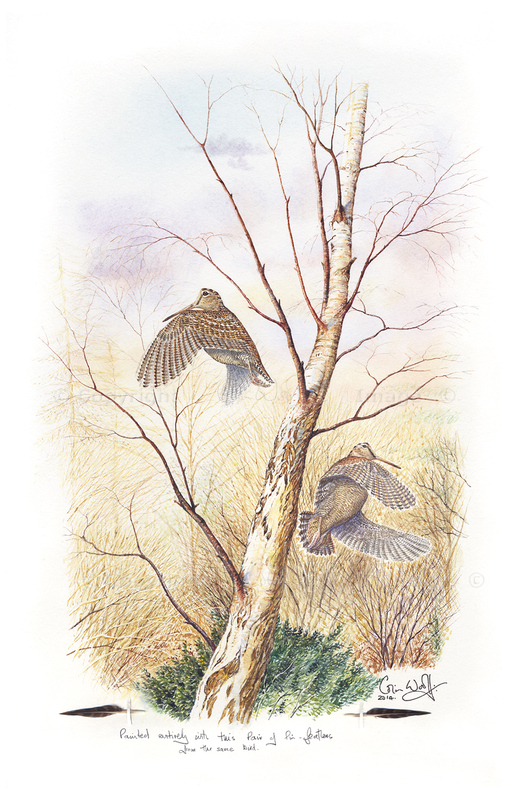 In the second painting, the birds take centre stage, although there is huge competition from the beautiful silver birch. At the bottom of the painting, the artist has included 2 pin feathers and writes that the scene is “Painted entirely with this pair of pin feathers from the same bird”. If you want to read more about this unusual technique, check out Colin Woolf’s beautifully illustrated and very educational article, as a guest blogger. In the blog post, Woolf explains the joys and the difficulties of painting with pin feathers. The birds featured here are woodcocks which have the magnificent Latin name of Scolopax Rusticola, and Woolf depicts them in motion, perhaps in a ritual display. The detail and symmetry of the birds’ wings and tail feathers is intricately painted and you can almost feel the whoosh in the air. The silver birch (Betula pendula) is one of my favourite trees and Woolf shows the elegance of this tree and its magical bark. Woolf is a cosnummate painter of wildlife and these paintings were a joy to behold. John Cox is also a highly respected wildlife artist. At the exhibition, he displayed many fine bird paintings showing an array of species and settings. John Cox sent me four photos of his work and the two I have chosen show the breadth of his skills and two different environments in which the birds are displayed. The first photo shows a pair of oystercatchers and they have the rather unattractive sounding Latin name of Haematopus Ostralegus, which sounds like serious disease or an operation you might get. I love the way the light blue colours on the birds’ undersides match those on the rocks and in the water, as if there could be a reflection on the bird from the water. The oystercatchers are very well captured, with the strong colour of their beaks matching the strength of the actual birds’ beaks. The birds look reflective in the painting, as they often do in the evening on the rocks near our house. The more you look at this painting, the more patterns, shapes and colours you see and this reflects the artist’s skill. Oystercatchers – which do not catch or eat oysters – are one of my favourite birds and we regularly get them on the rocks near the back of our house. Through my scope, I have seen a determined oystercatcher poke away around the sides of a large limpet and finally move it off the rock. The bird then used its beak to ease the flesh of the limpet from the shell, picked up the flesh and washed it in a nearby pool before swallowing it. In the 2nd of John Cox’s paintings below, a completely different environment is depicted. Here a short eared owl (Asio Flammeus) hovers hungrily (for itself) and menacingly (for its prey) above some bushes. I really admire the artist’s use of light in this picture e.g. how the setting sun’s rays eke through the owl’s outstretched wings and the evening sky can be seen above the trees and the town in the distance. The trees, bushes and wildflowers are delicately and expertly captured by the painter, as are the green fields behind. 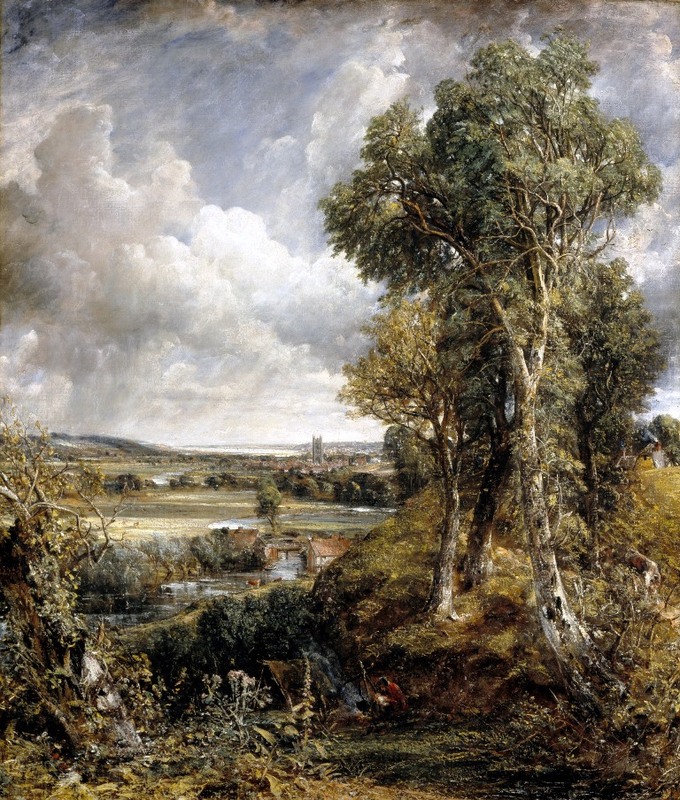 The urban setting to the upper left, with the church (I assume) dominating the skyline, reminded me of some of Constable’s paintings such as The Vale of Deadham shown below and downloaded with permission of the National Galleries. John Cox’s contribution to this wonderful exhibition, showing his exquisite skills, matched that of Colin Woolf. If you can get to see either (or preferably both) of these artists, do not miss the chance. 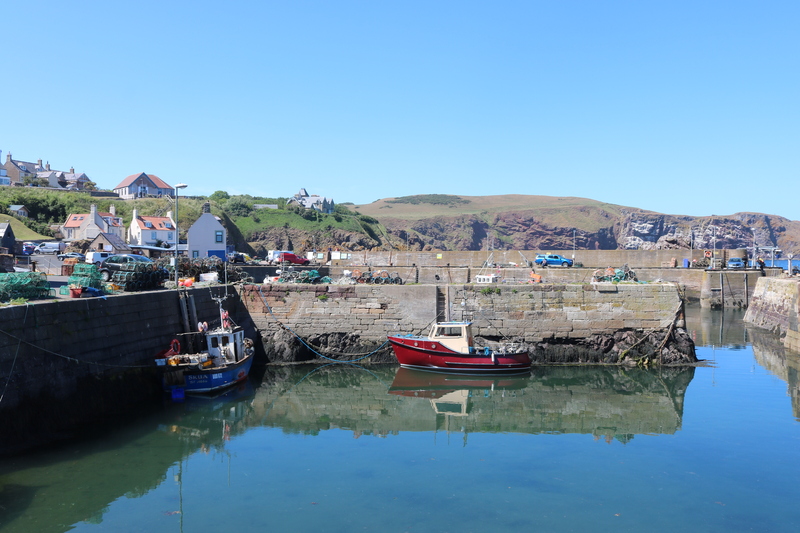 Another trip to St Abbs Head (good photos), one of our favourite places and a site that makes a regular contribution to this blog, on a warm and sunny Sunday afternoon. The harbour was busy with visitors and, looking out to sea, we could spot four boats taking divers around the coast to special areas. For a change, we walked across to the other and quieter side of the harbour. 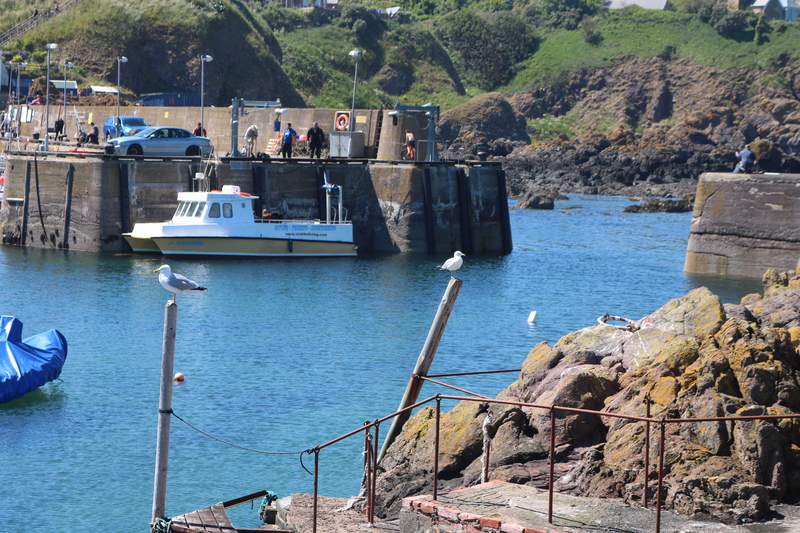 Looking back at my many and varied photos of St Abbs Head, I noticed that there were none taken from this part of the harbour. What I discovered were some beautiful reflections in the clear blue water in the harbour. 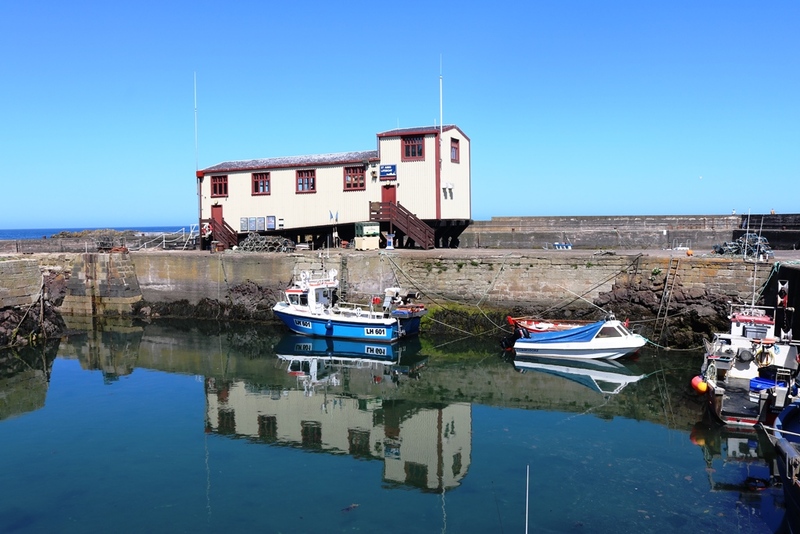 The first photo shows the lifeboat station and some small creel boats, and their shimmering reflections in the water. 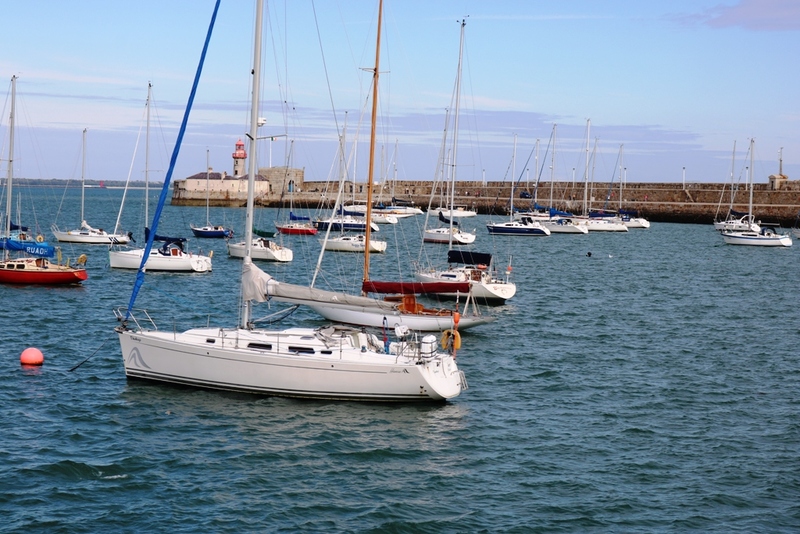 The solid stone walls built around the harbour to protect the boats are impressive. The 2nd photo is one taken from a new angle for me. Again, there is an eye-catching reflection of the wall and the boats. Above left, you can see part of the village and above right, you can see the coastal walk and the cliffs where thousands of guillemots nest. On the harbourside, the lobster creels are stacked in readiness for another trip. The final photo looks across to the entrance to the main harbour on the left. A diving boat had just returned from a trip and the divers were unloading their gear from the boat, using the mechanical hoist you can see above the boat. Two seagulls kindly posed for a photograph in front of me. 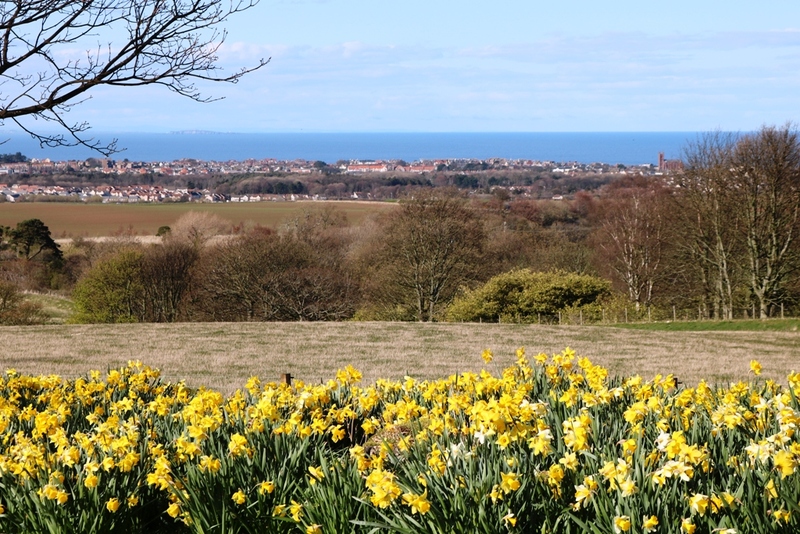 The village, the harbour and the surrounding countryside looked resplendent on the day we visited.